As the adage goes, we are not to judge a book by its cover. Likewise, not all symptoms of dementia point to the onset of the disease. It is easy to panic and fear the worst the moment you lose your way or misplace your coffee mug, but rather than indicating that you are entering the early stages of dementia, self-perceived cognitive problems may also possibly stem from other conditions that slipped under the radar. Memory slips, stress and fatigue are becoming more prevalent in an age of information and sensory overload, which is why early diagnosis would help in determining if they are the precursors of dementia, or other medical problems, allowing you to seek the right course of treatment. 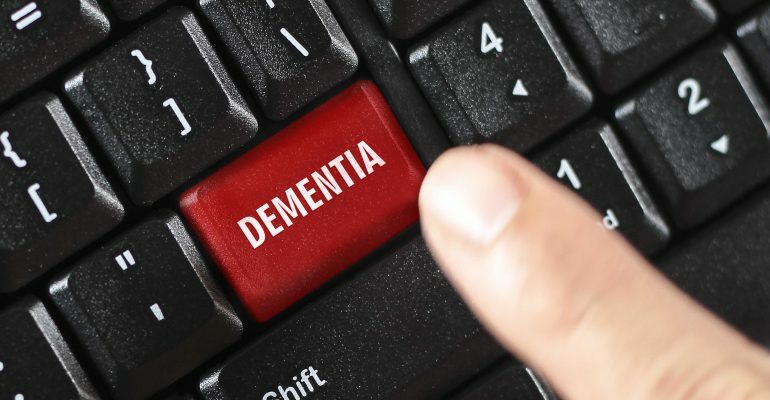 We highlight the most common conditions that may cause signs of cognitive impairment that are mistaken for dementia. Ever observed sudden bouts of confusion, also known as delirium, in older members of the family? These changes may be brought about by urinary tract infections. A UTI happens when germs get into the urethra and travel up into the bladder and kidneys. In place of common symptoms like painful urination, fever, or abdominal pain, an older person with UTI may experience other symptoms like agitation, mood swings, and withdrawal. What is worth taking note is that UTIs can exacerbate dementia symptoms, but they do not necessarily signal dementia or Alzheimer’s. Also, according to research by the National Institute of Diabetes and Digestive and Kidney Diseases (NIDDK), most UTIs are easily treated with antibiotics, lots of fluids, a healthy diet, and rest. As both depression and dementia can share very similar symptoms like isolation, declining interest in hobbies, social withdrawal, and detachment, the two can be easily confused by family members and friends. To makes thing more difficult, severe depression can sometimes cause a syndrome of cognitive impairment known as pseudodementia, making it harder for one to articulate their feelings associated with depression. The good news is, while depression isn’t something you simply snap out of, it can be countered with medication, regular exercise, cognitive therapy, and stress-reduction techniques such as meditation, yoga or prayer, according to studies conducted by National Center for Biotechnology Information (NCBI). It is convenient to label someone as experiencing the beginning symptoms of Alzheimer’s when they become forgetful or lose the ability to do simple chores. But they could be dealing with normal pressure hydrocephalus (NPH) instead – a brain disorder caused by excess cerebrospinal fluid accumulating in the brain’s ventricle, causing problems not unlike dementia’s, including difficulty with thinking, lack of concentration, and urinary incontinence. The best way to diagnose NPH is to see a neurologist for a CT scan, MRI, or spinal tap. Different findings, including the Journal of Neurosurgery, have shown that given timely and right treatment, persons with NPH can become independent again. Think of your head as a delicate orange that, upon impact, can become bruised with juice accumulated within from burst sacs. A subdural hematoma occurs when abnormal bleeding caused by an injury to the head causes blood to build up in tissue surrounding the brain. Prolonged pressure can eventually lead to dementia-like symptoms like apathy, behavioral changes, and confusion. 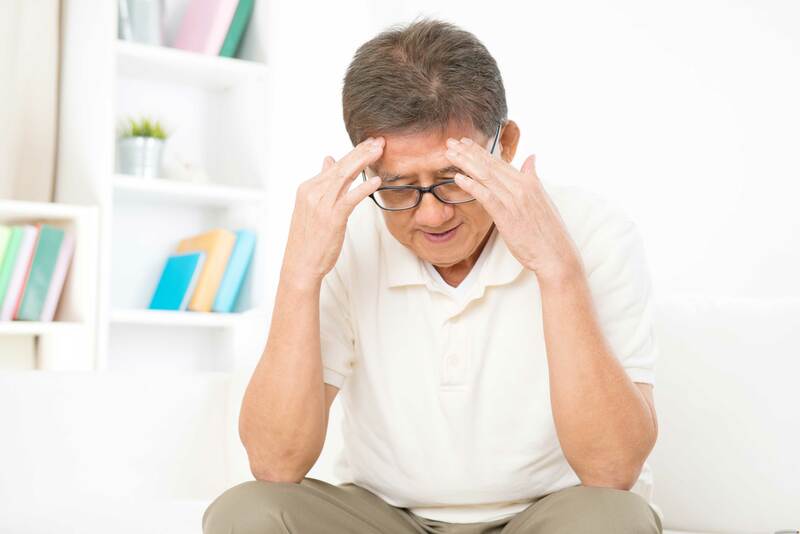 While treatment for subdural hematoma can range from mere observation to brain surgery, the hematoma may even go away by itself with time if it is small enough, according to the National Institute of Neurological Disorders and Stroke. 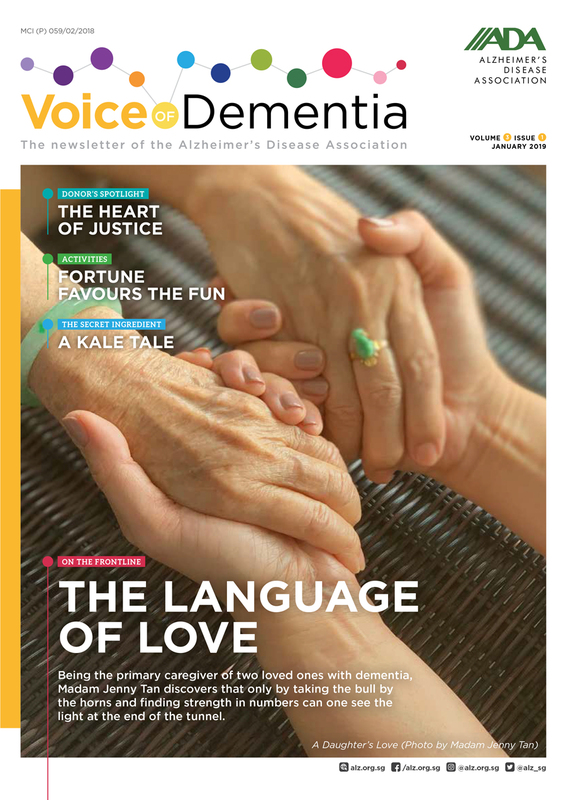 Voice of Dementia is a newsletter published by The Alzheimer's Disease Association with news on events, tips for caregivers, upcoming training workshops and medical news. To get a copy for yourself, you can visit us at one of our office locations or events. Copyright © 2019 Alzheimer’s Disease Association (Singapore). All Rights Reserved.